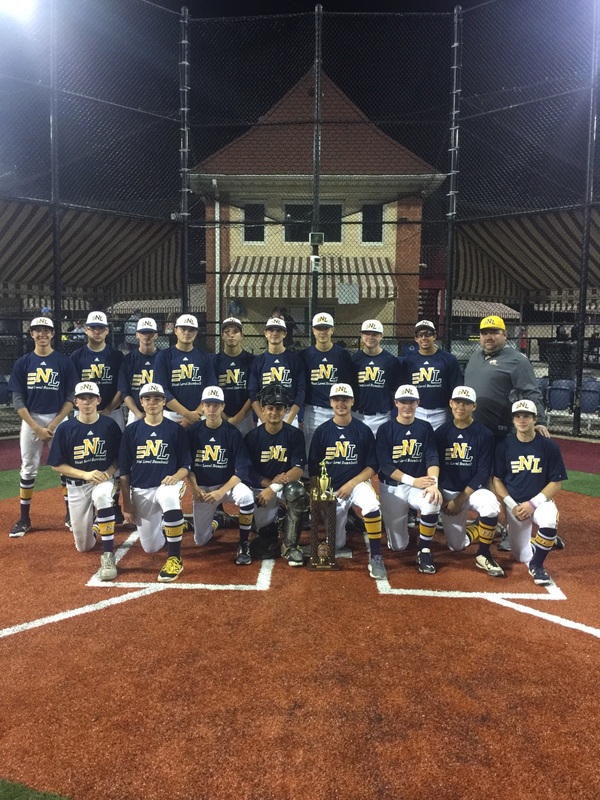 Northeast Elite Underclass Sept 8-10 Champions!!! Next Level baseball (NLB) is an elite travel organization that focuses on creating a limited number of high quality teams, rather than numerous average teams. NLB believes in quality over quantity. You will not see an overabundance of NLB travel teams. NLB prefers to build its program on the foundation of fewer teams with better talent. Our goal is to recruit the best players to form the best team in the region. NLB will run Clinic's, College Showcases, athletic college placement services, off season training and elite travel teams. Quality of the events, services, and teams are our primary objective. We believe that if we are able to deliver quality, everything else will take care of itself. NLB Clinic's: NLB will organize and run high level baseball clinics with professional coaches and athletes. These clinics are designed for the baseball player who is looking to take their game to the next level. NLB College Showcases: NLB attracts a large turnout of coaches and scouts to our events. At our events, college programs from Division I, II, and III attend. We work extremely hard developing personal relationships with scouting staffs and attempt to put our players with programs that fit them. At NLB we give personal attention to each player and their family, and give them honest feedback to help them achieve their goal of playing at the next level. NLB Athletic College Placement Services: While operating with the NCAA and NAIA rules and regulations, NLB will reach out and contact numerous coaches in an effort to promote you. If you are a serious athlete looking to use your baseball skills to attend the college of your choice, our recruiting service is for you. NLB Off-Season Training: All NLB teams will participate in the NLB winter workouts. Winter workouts will be run by numerous professional coaches who will focus on individual and position skills. Copyright © 2019 Next Level Baseball. All Rights Reserved.